100 Best Free Web Space is proud to announce our “Top Control Panel” web hosting award is being awarded to Coastlandtech.com! 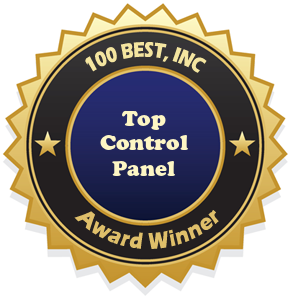 In our research we found CoastlandTech to have one of the best control panels available. The Coastland Technologies Control Panel allows users to design, create, and manage their website. It is simple to use, and is very user friendly, even for the novice webmaster. Within the CoastlandTech control panel you can choose your CMS, upload files, and choose the applications you wish to have on your website. The Streaming Media plan is available in several incremental plans that vary based on the number of listeners and the Bitrate in Kbps. The Streaming Media plans are available in SHOUTcast, Icecast2, Nullsoft Streaming Video, or Ogg Vorbis. With CoastlandTech’s shared web hosting plans you can choose between the Drupal, Joomla, Mambo, or Xoops Content Management Systems. Bulletin and Forums are easy to set up with SMF or phpBB. And if you are creating a business website you can choose from Magento, Zencart, or osCommerce shopping carts to assist you. Many website owners are also choosing to have a blog attached to their website and with CoastlandTech you can have a WordPress, Typo, Moveable Type, or b2evolution blog within minutes. All CoastlandTech web hosting products and services are backed by a web hosting support team that are able to answer your web hosting questions and resolve technical issues in a friendly and timely manner. Their technicians are trained to be able to relay information in a way you can understand, not in technical garble that even programmers don’t understand. They also offer a 30 day hassle free full money back guarantee. This entry was posted in Uncategorized and tagged coastland tech, Coastland technologies, top control panel, web hosting awards. Bookmark the permalink.